A new study just released by ACCCE demonstrates that the coal industry and clean coal technologies could provide many thousands of new jobs for American workers. This would be a huge boon to the economy as we rebuild our way out of the recession. 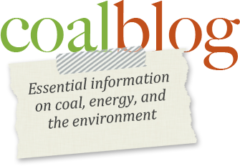 The deployment of carbon capture and storage (CCS) technologies at advanced coal facilities would create or support more than 150,000 jobs nationally, according to a study released today by the American Coalition for Clean Coal Electricity (ACCCE). The study done for ACCCE by BBC Research & Consulting found that 1.7 million job years1 of labor would be created through the construction of 124 new advanced coal facilities by 2025. Be sure to read the rest of the post on the Behind the Plug blog.